Other activities to consider include Safari-type excursions on four-wheel bikes, buggy rides, jeep safaris, monster trucks or helicopter rides for a privileged view.Many companies offer these adventure tours that take the tourists to observe tropical wilderness, visit a countryside home where typical Dominican food lunch will be served, examine tropical crops, take a dip at a deserted beach or for a swim in a cool river. As said there are many outfitters that will organize tours around the island. Punta Cana Mikes Dominican Adventures is one of the most popular ones. 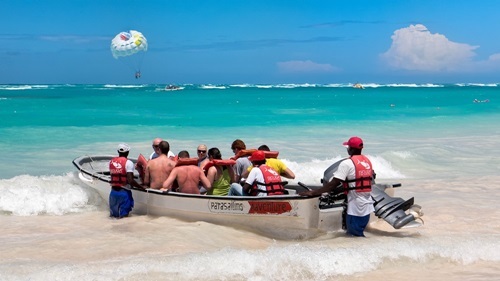 Punta Cana Mikes Dominican Adventure specializes in small groups, generally from 4 to 14 persons but can also easily organize private excursions.